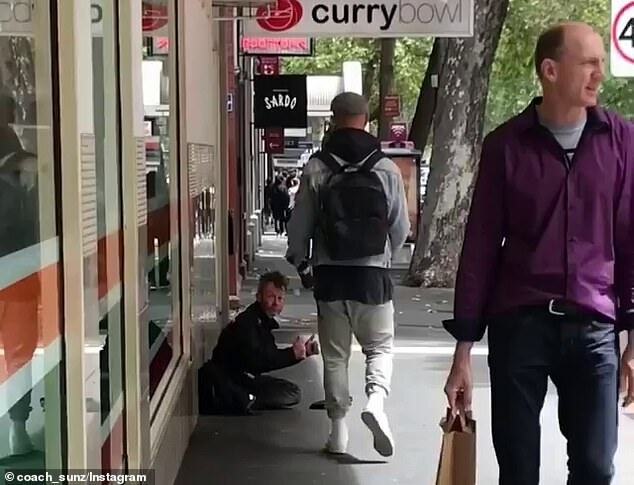 Australian rugby star Quade Cooper has been praised for giving food to a homeless man. 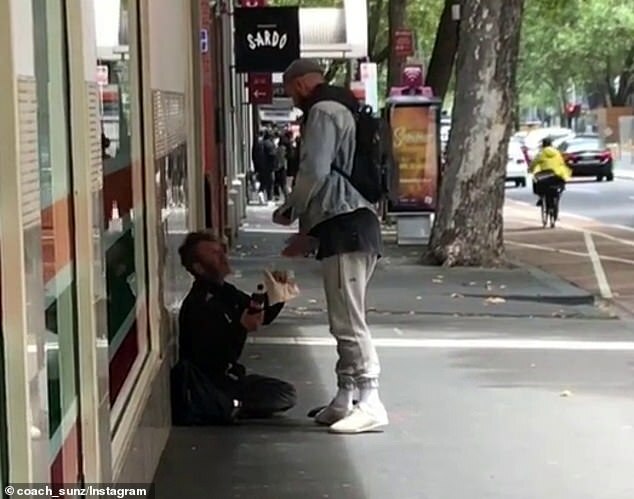 The Melbourne Rebels fly half, 30, was filmed by his fitness coach giving a meal to the man on Lonsdale Street in Melbourne’s CBD last Sunday. The video was uploaded to Instagram and received dozens of comments from fans praising Cooper for his kind actions. 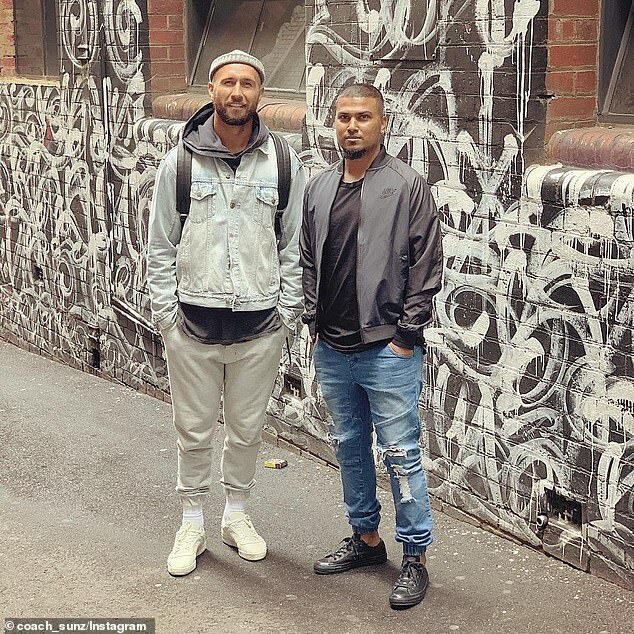 Cooper’s fitness trainer, who calls himself Coach Sunz, captioned the footage: ‘We walked past this homeless guy yesterday and next thing I’m walking alone because Quade Cooper had gone in the store to buy food for him and set him up for the day. One fan commented: ‘So much respect for this’. It comes after Wallabies star David Pocock on Wednesday hailed Cooper’s return to the Super Rugby fold as a major boost for the sport in Australia. The pair will face off on Friday night as Cooper makes his debut for Melbourne when the Rebels play Pocock’s Brumbies in Canberra. ‘It’s great for Australian rugby to have players like Quade Cooper in the mix and playing,’ Pocock told reporters on Tuesday. Cooper, 30, was part of the Wallabies’ camp in January as he looked to earn a spot in a third World Cup squad.